Father’s Day is celebrated on the third Sunday of June every year all over the world. And it falls 16 June 2013 this year. Father’s Day is becoming popular in China as well lately though it is primarily a Western concept. However, respecting and honouring one’s father is something nice and something good, which need not be limited to any geographic territory. Such practices are prevalent in all cultures and traditions. The Western world may have popularized this concept in the modern days, but Father’s Day is now celebrated enthusiastically even in the other parts of the world including China. How to make this father’s day special? Every year father’s day in China is being celebrated with much vigour and enthusiasm. People express their love and respect t their father by sending them father’s day flowers and fathers day gifts. 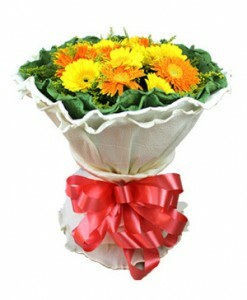 One need not have to limit the practise of sending flowers only to one’s boy friend or one’s girl friend. You can make your father happy by sending him beautiful flowers; this will be one of the most thoughtful gesture that will convey your love and care for your father in the most expressive and meaningful way. You can now order your father’s day flowers online from any part of the world and have your flowers delivered to your father in China. 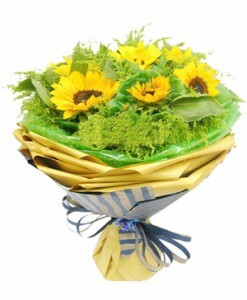 Online flower deliveries make father’s day flower delivery very simple and fast. Your flowers will reach your loved ones on the same day if you find a florist that operates local flower delivery networks. You will not be required to drive around the city to find a florist that delivered flowers to China. Sending thoughtful gifts is one of the ways of making this father’s day special. You will be able to order your father’s day gifts easily online in a matter of just few quick clicks. You will be able to order your fathers day gifts too online right from where you are and surprise your beloved father this Father’s day. It is only apt to send a thoughtful gift to your father who has given you so much. It may not be enough to just send an SMS or to make a phone call enough to father on Father’s Day even though there is no expectation from your father. The gifts that you send need not be expensive ones, just a simple gift and less expensive gifts will do. You just need to make sure that your gift reaches your dad in a timely fashion. 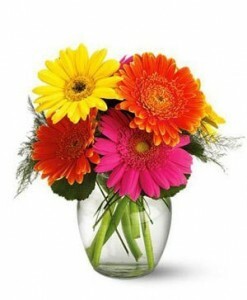 Order your flowers and your gifts from a reliable online store. 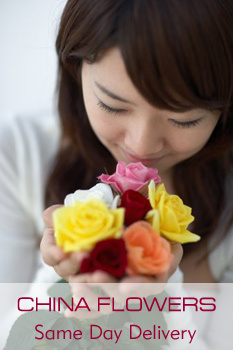 Just a bouquet or flower bunch can make a world of difference to your father. Make this important day special for your father and all that it will take these days will just be a couple of clicks. Plan ahead, search for the best florist online to send your Father’s Day flowers to China and a dependable online store to order your Father’s Day gifts. Ordering your flowers and gifts online this father’s day will not only make the day special but it will also help you save both time and money.